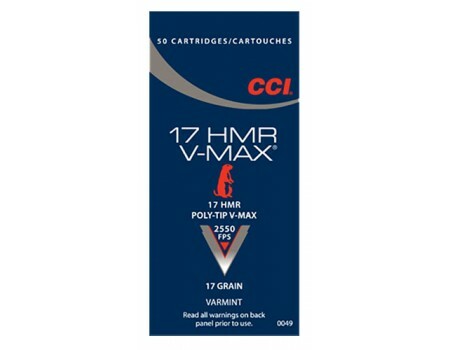 CCI Varmint Hunting/Target Rimfire Ammo. 17 HMR, 17 GR, V-Max Polymer Tip. Box price, 50 Rounds/Box. One look is all it takes to know that CCI understands what varmint hunters desire. 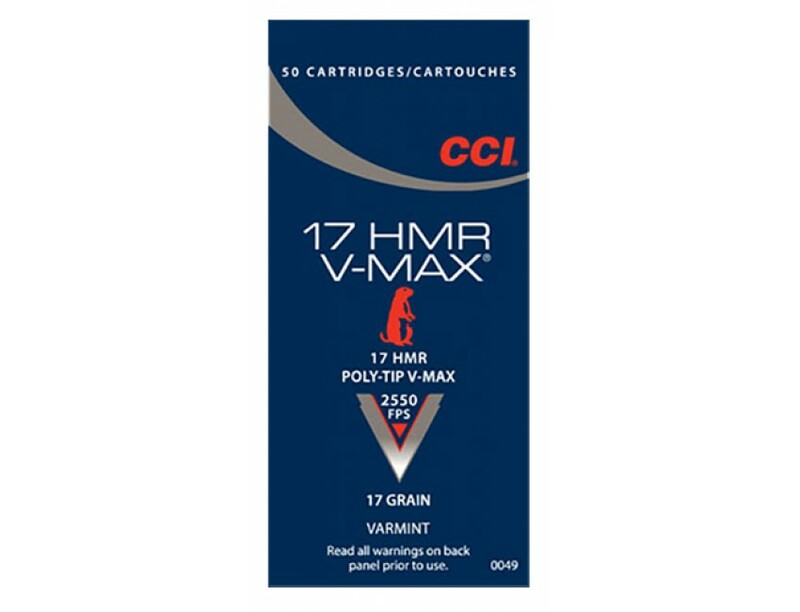 The Varmint Ammunition line features a variety of bullet technologies that are designed for the same goal: total devastation on impact.The V-Max is designed for explosive expansion for accurate flat-shooting.